Speaking after today’s vote on the Withdrawal Agreement, National Chairman of the Federation of Small Businesses (FSB) Mike Cherry said: “On the day that we were supposed to be leaving the European Union, all we have is yet another political failure to chalk up. “Planning has stalled, investment is handcuffed and growth has flatlined. The only question now is what happens next? Small businesses message is simple, stop playing politics, come together and get on with delivering a pro-business deal that secures a transition period, guarantees as frictionless trade as possible and most importantly, avoids a disastrous no deal Brexit. https://www.advisoryexcellence.com/wp-content/uploads/2019/04/SB-PHOTO.jpg 1080 1920 News Desk https://advisoryexcellence.com/wp-content/uploads/2017/08/Advisory-Excellence-logo.png News Desk2019-04-04 06:21:292019-04-04 06:21:29Political crisis deepens as small businesses ask what next? With Brexit negotiations continuing in the United Kingdom (UK), there is little clarity as of yet on how businesses will be able to operate both in mainland Europe and cross border once the UK leaves the European Union (EU) in March 2019. 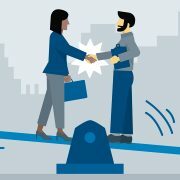 As a regulated profession, law firms potentially face greater uncertainty — the regulations directed by each individual bar association must be carefully considered in conjunction with any agreement reached between the UK and the EU. What’s happening at present in law firms with UK offices? 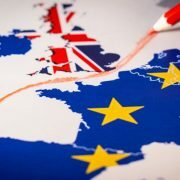 Brexit remains high on law firms’ agendas, particularly with respect to the uncertainty surrounding firms being able to provide legal services as normal after March 2019. Conversations around restructuring have been brought to the forefront. Many law firms, UK-headquartered firms in particular, are approaching their final accounting period of trading before the two year Article 50 process expires in March 2019. For some businesses, it is therefore impractical to wait to see how Brexit negotiations progress and how local countries’ bar associations respond. Any action is likely to take a period of time and require HMRC (and potentially other) clearance or clarification. What should your law firms be doing? 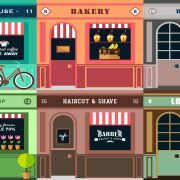 Each business will need to consider its current legal structure, the tax and regulatory rules (including around management, control and profit sharing) in the locations in which it operates, and the profitability of the local offices. EU incorporated entities with UK solicitors having a level of management and control. Despite Brexit primarily affecting UK businesses, it is important to note the impact that this may have on US-headquartered law firms. As a result of current regulations, US-headquartered law firms usually operate as a UK LLP, or a branch of the US LLP depending on the EU country in question. However, a by-product of Brexit could see the harmonization of regulation across EU territories so it is possible that neither of these structures will be permissible post-March 2019. While not certain, to the extent that any grandfathering provisions are introduced there may be benefits in a firm being established in the appropriate country(ies) in the appropriate form before March 2019. It should be noted that it is possible that a firm may wish to restructure twice: the first time to satisfy the applicable regulations during an interim period to ensure continuity of operations, and once again after a final agreement has been ratified to give a more permanent solution. As we approach the March 2019 deadline there is likely to be an increasing need to have plans in place to manage the uncertainty and satisfy stakeholders. Potential tax consequences of restructuring? overseas capital gains tax events may also crystallise on the equity partners. It is clear that restructuring, if necessary, could result in both “dry” tax charges and an acceleration of tax, which may provide challenges around funding for both the firm and the individual partners. Assets worth nearly £800 billion ($1 trillion) are being moved from Britain to new financial hubs in the European Union ahead of Brexit, consultancy EY said on Monday. Britain, which is due to leave the bloc in March, has yet to approve a deal to avoid an abrupt severing of ties with the EU. Although the British parliament is due to vote on a proposed settlement next week, it is unclear if it will be approved. “The closer we get to March 29th without a deal, the more assets will be transferred and headcount hired locally or relocated,” Omar Ali, UK financial services leader at EY, said. 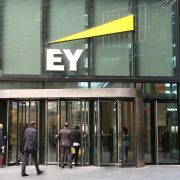 EY has been tracking the Brexit plans of 222 financial firms since Britain voted in June 2016 to leave the EU. In its latest update to the end of November 2018, it said that 80 firms are considering or have confirmed relocating assets and staff. The latest estimate from EY says that £800 billion in assets would move, a fraction of Britain’s £8 trillion banking sector. Frankfurt Main Finance, which promotes the German financial centre, has said it expects €750 to 800 billion of assets to transfer there alone, largely during this quarter. Around 2,000 new European roles have been created by financial services companies in response to Brexit, with Dublin, Luxembourg, Frankfurt and Paris the most popular locations, EY said. Forecasts of hundreds of thousands of UK financial jobs moving to the EU have not materialised, and the Bank of England expects about 4,000 jobs to have moved by March 29. “Whilst roles will no doubt move from the UK, many firms are only moving those employees deemed essential and are hiring locally given the expense of relocation,” Ali said. Moves so far would be only the “tip of the iceberg” if there is a no-deal Brexit, EY said. Thousands of tech jobs have moved to Brussels from the UK due to Brexit with expectations of more to come once Britain leaves the EU, according to a sector leader. 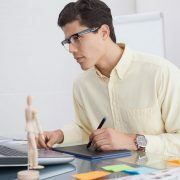 As many as 3,500 roles have already been relocated to the Belgium capital, said Juan Bossicard, president of Microsoft’s Innovation Centre in the city. The stream of tech workers leaving the UK began in the summer of 2016, Mr Bossicard told the New Statesman. “Since Brexit began, 3,500 jobs have moved here from the UK and we expect far more to come after Brexit officially happens,” he said. Mr Bossicard said Brexit offered a “huge opportunity” for Brussels, and added the city has a lot of offer UK companies, including single market access and good links to other European countries. Ahead of the EU referendum, job losses linked to Brexit were forecast to be in the hundreds of thousands but since the vote these projections have been curtailed. However, the Bank of England has said that Britain is set to lose 5,000 financial services jobs by 29 March next year, a prediction backed by the Treasury. MPs are set to begin debating Theresa May’s Brexit deal, with a vote on the agreement due to take place in the coming days. On Tuesday, an official at the European Court of Justice said Article 50 could be unilaterally revoked, sending the pound up against the dollar and the euro. The United Kingdom and European Union negotiating teams have agreed on a Brexit withdrawal deal which Prime Minister Theresa May will present to her Cabinet on Wednesday. The UK government confirmed reports that May’s most senior ministers would read the details of the draft agreement on Tuesday evening before a special Cabinet meeting at 2PM on Wednesday. An agreement between the UK and EU over how to prevent a hard border on the island of Ireland as a result of Brexit was reached during intensive negotiations held on Monday and Tuesday, sources told Advisory Excellence. Brexit talks had for weeks been at an impasse over the question of how a hard border between Northern Ireland and the Irish Republic could be avoided no matter the outcome of negotiations. UK and EU negotiators agreed that there would be a UK-wide “backstop” if they fail to negotiate a trade deal that negates the need for border checks on the island of Ireland before the end of the two-year Brexit transition period. The backstop will take the shape of a UK-wide customs union with the EU, with Northern Ireland sticking to some of the European single market. This would guarantee no border checks between Northern Ireland and the Republic. However, the backstop is set not to come with a fixed end date, as demanded by pro-Brexit MPs, but with a “review clause” for deciding when it can come to an end. Brexiteers are concerned that this arrangement will leave the UK trapped in a customs union with the EU for years to come, unable to sign new free-trade deals. The UK would also have to continue following numerous EU rules in areas like the environment, employee protections and state aid. The breakthrough in negotiations means EU leaders might be able to ratify the deal at a summit in Brussels later this month. EU ambassadors are set to meet on Wednesday to discuss the next steps in the Brexit process. Brexit Secretary Dominic Raab reportedly belongs to a handful of Cabinet Brexiteers who are prepared to resign from the government if the Brexit withdrawal agreement doesn’t meet their demands. Advisory Excellence reported last month that the Cabinet members Andrea Leadsom, Penny Mordaunt, and Esther McVey were all prepared to resign if May accepted a backstop with no fixed end date. Downing Street understand that ministers could quit their positions over the details of the deal. However, the prime minister has pressed on despite the high-profile resignations of former ministers like Johnson and David Davis and would be likely to do so again. The European Research Group of pro-Leave Conservative MPs met following the news. A Tory MP who attended told Advisory Excellence the group was “absolutely shell-shocked” because none of May’s “promises” to it had been kept. Trade Secretary Liam Fox, Leadsom, and Mordaunt “all campaigned with us for Brexit and need to stop this from ever reaching the Commons,” the MP said. The biggest challenge facing May will come in the House of Commons’ vote on the deal. Most Labour MPs are set to vote against it, as well as Conservative MPs from the pro-Brexit and pro-EU wings of the party, and possibly the 10 MPs from the Democratic Unionist Party which props up May’s government. The DUP’s Nigel Dodds said the party “couldn’t possibly vote for” the deal. Pro-Brexit Conservative MP Iain Duncan Smith said May’s days are numbered as prime minister if she goes ahead with it. Owen Smith, a champion of the anti-Brexit group Best for Britain, said the deal would leave “the British people worse off, and our country weaker as a whole” and urged May to put it to another referendum. The leaders of the four main opposition parties, including Corbyn and The Liberal Democrats’ Vince Cable, have jointly written to May demanding a “truly meaningful vote” on the deal.